I can't find any box where you can use a custom avatar. User cp, under "your profile". 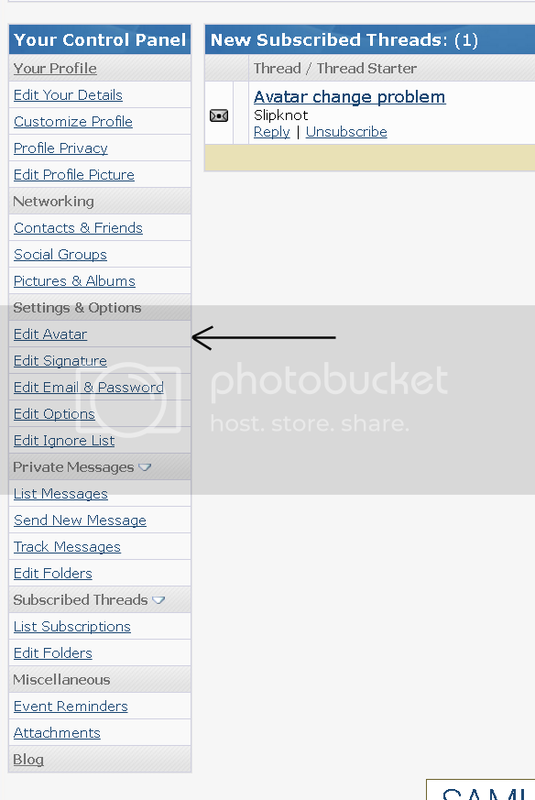 Select "Edit profile picture"
Have you asked a moderator? Last edited by Raven; 07-22-2016 at 08:34 PM.. I'm here for you as always. Did you get ti squared away? Go to your control panel, edit options and see if the "Show user customization" box is checked under the "miscellaneous options". This may not be the solution but worth a try. Try clearing all browser cache/cookies....then try running http://www.stevengould.org/index.php...d=29&Itemid=72.......could be your profile is hosed up/corrupt or your browsers are holding on to something yuckee. Install a different browser....ie: Chrome/Ffox? 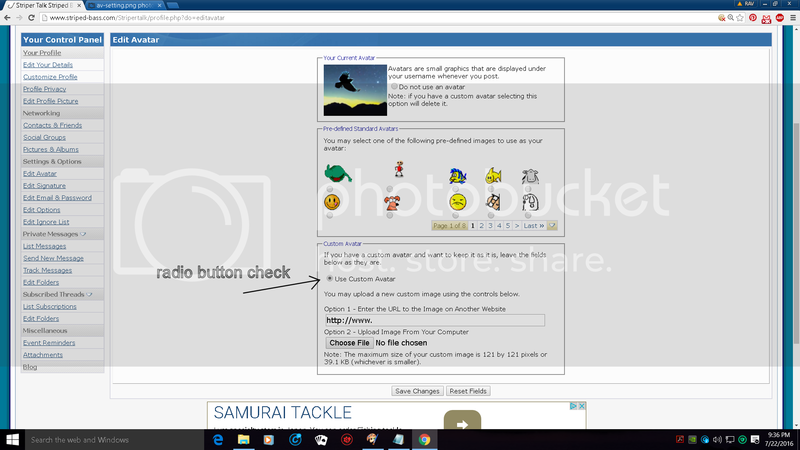 See if that helps, if not...., create another user account on your computer...log in as that one and try changing your avatar. I've seen corrupt profiles do that before. What's the matter, grew tired of the one I created for you....LOL......wow, that was a long time ago, Hope things are going great for you and the family Bruce. thanks Gilly, when I get a moment I will try all that. I did try in firefox also as I use chrome.